Get it FREE Now on Amazon! My friend, Kevin Martin, just published this guide, Your Ticket to the Forty Acres: The Unofficial Guide for UT Undergraduate Admissions, on Amazon (Kindle) to help students quickly figure out what they need to do to game the admissions scene at the University of Texas, especially its Austin campus. What I love about this book is that Kevin was a first-gen student who graduated top of his class, and then went on to to work for their admissions department as a counselor. ApplyTexas CHANGED prompt requirements for incoming freshmen for Fall 2018!! Click to see new requirements: Learn about changes. *Below is the original post I wrote about UT essay requirements in 2016. All advice on how to strategize for Prompt A still applies perfectly. Incoming freshmen no longer need to write essays for Prompts B and C; instead they need to write the new 3 short answer essays (refer to ApplyTexas web site for details). 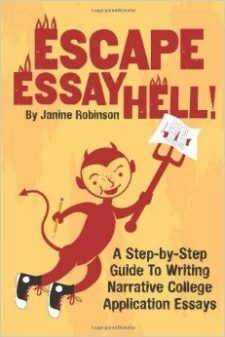 ApplyTexas, which handles the applications for the public universities in Texas, as well as many private colleges, has announced on its web site that they have all-new essay prompts for Fall 2017. These new ApplyTexas essays apply to students who would be starting as freshman in Fall 2017, and applying to schools such as the University of Texas at Austin, or its other locations, as well as other Texas colleges.